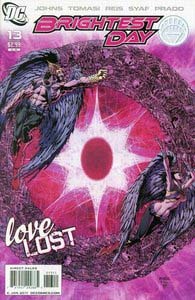 If you know any Hawkman fans who have been holding their breath between his appearances in Brightest Day, you might wanna give them a quick check, and also mention the winged wonder is back, spreading his wings over pretty much the entire 'unlucky' issue 13. 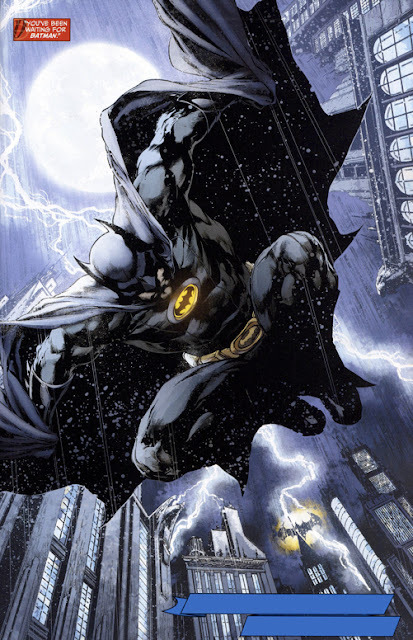 No not 'Night-light-chest Batman' - penciller Ivan Reis. Bats has probably just dropped in to see why the White Lantern mystery is still running thirteen issues on, when the ones he tackles rarely last longer than four. But Ivan Reis takes Bruce Wayne's super-power of jumping in time with lightning bolts, and rides it to a whole new level. So get your wings flapping down to your local comics source and grab a copy of Brightest Day #13 for yourself. ok so this Brightest Day series seems to be in general story lines involving resurrected deceased DC characters. how is this happening exactly and in this BD issue 13 do we see Hawkgirl (Kendra) come back? i remember her getting killed in the Rann-Thanagar war mini. Hey David! Yip folks are popping up all over Brightest Day but the 'why' of it all is still a bit vague. So far the plot is to discover/find the new champion of life and solve certain tasks in the process that will allow each of the returned the ability to stay back in the land of the living for good. Hawkman and Hawkgirl are getting their histories a bit more ironed out once and for all in the process. Hawkgirl (who hopefully is changing to Hawkwoman soon) is Shiera Hall, who seems to remember all her past lives including that as the recently deceased Kendra Saunders.